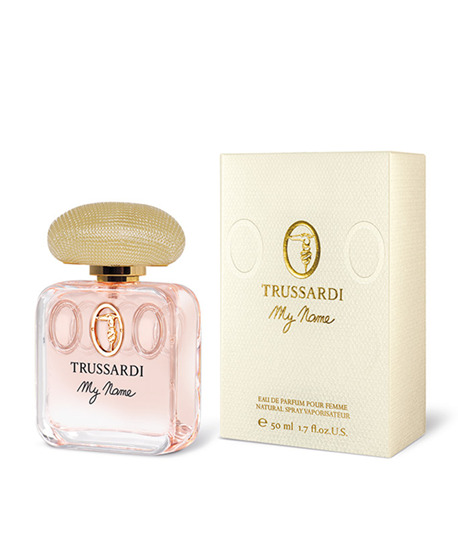 Trussardi My Name releases a veritable symphony of fine, noble ingredients that present a confident and irresistible woman, emphasizing her elegance and seductive prowess. The main composition opens with notes of white violet, heliotrope and lilac, the star of the scent, revealing a new facet that has never been experience before. The finish closes on the delicate accord that features notes of arum, vanilla, musk and ambroxan, sensually establishing the sophisticated status of the woman who wears it.